Dublin, OH - October, 2 2018 – Cardinal Health announced that Ola Snow will become chief human resources officer for the company, following the departure of Pamela Kimmet, who is leaving the organization for another opportunity. Ola will also become a member of the company’s six-person executive committee. Snow has been with Cardinal Health for 17 years, most recently as the company’s chief diversity officer where she led Total Rewards, Talent Acquisition, Talent Management, Diversity and Inclusion and Corporate HR Business Partners. Prior to that role, Snow served as the senior vice president of Human Resources for the Medical segment within Cardinal Health. Snow joined Cardinal Health in 2001 as a regional director of Human Resources for the Pharmaceutical segment supporting the Ohio Valley region in Wheeling, WV. Since then, she has held several key roles within the HR function, including business partner roles with the Enterprise IT, Marketing, Medical Products, Ambulatory Care, Scientific Products, and Hospital Sales and Services teams. 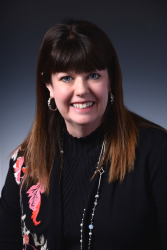 Snow began her career at TeleSpectrum Worldwide, Inc. where she moved up to eventually lead the HR function for the East region, including recruitment, leadership development, engagement and strategic management. Snow received her bachelor’s degree in management, with an emphasis on human resources management, from the University of Alabama. Snow is a passionate and committed member of her community as an active supporter of the American Heart Association’s Circle of Red and Heart Walk. She serves as a board member for New Directions Career Center, supporting women in the workplace, and BCU Credit Union. She regularly volunteers with Flying Horse Farms, which supports seriously ill children attending a residential camp. Cardinal Health, Inc. is a global, integrated healthcare services and products company, providing customized solutions for hospitals, healthcare systems, pharmacies, ambulatory surgery centers, clinical laboratories and physician offices worldwide. The company provides clinically proven medical products, pharmaceuticals and cost-effective solutions that enhance supply chain efficiency from hospital to home. To help combat prescription drug abuse, the company and its education partners created Generation Rx, a national drug education and awareness program. Backed by nearly 100 years of experience, with approximately 50,000 employees in nearly 60 countries, Cardinal Health ranks #14 on the Fortune 500. For more information, visit cardinalhealth.com, follow @CardinalHealth on Twitter, @cardinalhealthwings on Facebook and connect on LinkedIn at linkedin.com/ company/cardinal-health.